Want Some Last Minute Things to Do in LA? 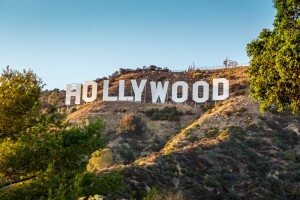 You are at:Home»Want Some Last Minute Things to Do in LA? If you’re dying for a star sighting, and you don’t mind paying for a pricey coffee or cocktail, check out the Hotel Bel Air’s lobby lounge located at 701 Stone Canyon Road in Los Angeles. The hotel (opened in 1946) is owned by the Sultan of Brunei and is operated by the Dorchester Collection of luxury international hotels. Sitting in front of the stone fireplace, you’re poised to feel that rarefied Bel Air breeze that is said to hold so many of Hollywood’s secrets. It’s one of my top last minute things to do in LA, simply because you never know who you may see. Plus, it’s a creative way to experience the artistic vibe of Los Angeles and discover why it’s one of the best cities for nightlife. Tired of cooking at home but hoping not to break the bank? It may be time to jump on the bandwagon of food truck enthusiasts and start following in their mouth watering tracks. Choose a night of the week that suits you and plant yourself where the food trucks are scheduled to be. Korean BBQ, aka ‘Koji,’ is a crowd pleaser, and a filling dose is well under $10 per person. No need to tip anyone except for the stranger in line on what’s delicious. It’s one of my favorite last second excuses to get out of the house, and truly delicious. If you’re looking for some great last minute things to do in LA, you couldn’t go wrong with LA’s many beaches and parks. Griffith Park is a Los Angeles classic where you can escape from the city without actually leaving the city. Walking up the main trail provides great views of the famous Hollywood sign. If you’ve got the breath to make it to the top, you’ll be awarded with some beautiful landscaped views from the iconic Griffith Observatory, made famous by James Dean in Rebel Without a Cause. Check out a beautiful photogenic view of the LA basin stretching all the way to the Pacific Ocean. Hooray! So you booked your airfare and you’re visiting Los Angeles for the first time. But then you realize you haven’t had the slightest chance to do any research on exactly what kind of things to do in LA. Sure, at the top of your head you can visit Hollywood, get a Studio Lot Tour at Universal, be a live audience member for one of the many major network shows like The Price is Right, or hang at the beach all day in Santa Monica. Some of those are easy to think of but may require lots of planning when it comes to scheduling, logistics, tickets, etc. Well, lucky for you we’re going to help you figure out last minute things to do in LA. First of all, free is always good. Take a walking tour in Downtown LA where you can witness all the new architecture, visit the Staples Center, have a picnic or join a free dance night at Grand Park, walk through Broadway’s newest renovations and relax for hours at The Last Bookstore. All considered walking distance destinations in DTLA. Staying in Koreatown? Enjoy what the locals do on any night of the week and indulge in Korean BBQ in LA. After dinner, find the nearest Singing Room or “Norebang” (aka Korean style karaoke) where you can book a private room per hour for just you and your friends. If you rather do western style karaoke, where the stage is public, try out The Brass Monkey with a full menu of food and drinks. Tsk, tsk… you may also sight celebrities hanging out there as well, just look at the celeb pictures covering the walls when you enter. If you’re staying in Santa Monica or any other beach community, rent a bicycle for an inexpensive ride around the coast. Need to Know about San Diego Events Today? Work time is over and now it's time to play, so don't waste any time wondering what there is to do in the city, because we'll let you know about San Diego events today. We keep track of the new acts, museum exhibits, festivals, restaurant openings, shows, and more, so that's easy for you to find something to do, right when you want to do it. If you're not sure how to get to where you want to go, we even offer maps for your convenience. There are so many San Diego things to see and do, that we're sure you won't want to miss a thing.